I am such a midi person, I just love them. My favourite thing about them is you put on the dress and that's it, your ready to go out, that's also a good excuse to get one in every colour and pattern - I love to have lots of them in all different prints. My midis get the most wear when in the evening when Andrew and I go for dinner - that's what we were to do here (after going back to his so he could get changed!) Going out for dinner night are our favourite and we try to have them as often as possible haha.Yum! I paired the dress with my favourite new demi wedges which I have been going on about for ages on twitter and instagram but I finally got my hands on a pair and they go with everything!!! Would you wear this kind of print? 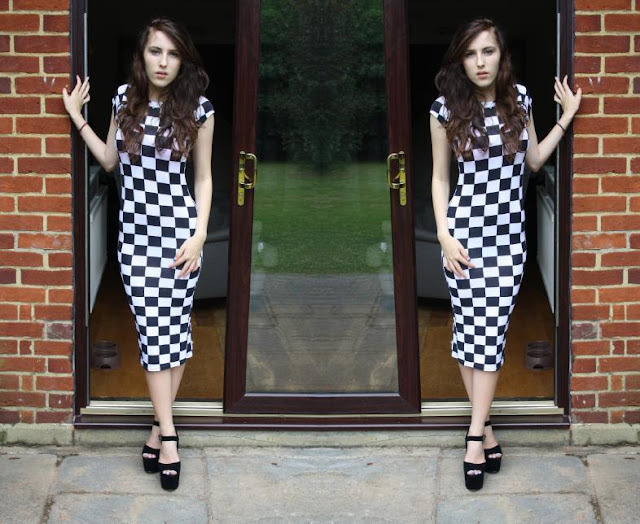 What do you think of Midi Dresses?